-Includes (1) Cleaning & Dusting Cloth 12.5" x 12.5"
Where to use: wood, bamboo, steel, glass, chrome, granite, leather, plastic, MDF, and fabric. This cloth traps dirt and dust and removes it from the surface. It does not just push it around like other dusting cloths. 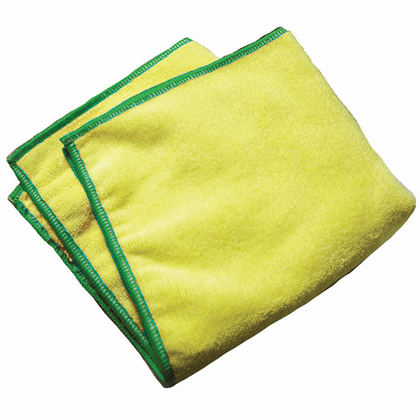 This cloth can also be used wet and has all of the cleaning power of the e-cloth line.